Mac Doctor Norwich works around your schedule and offers a completely mobile service timed to suit you in the comfort of your own home or office. Evening appointments also available. 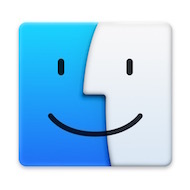 Whether you have an iMac, a MacBook, a Mac mini or a Mac Pro, Mac Doctor Norwich can help you with all aspects of Mac ownership; maintenance, service, tuition or guidance. Mac Doctor Norwich can also help with your iPhone, iPad, iPod, Apple TV, Watch and AirPort, Sonos and music streaming, DLNA and video streaming. For Apple advice, tuition, servicing, set up, maintenance, sourcing, installation and repairs, Mac Doctor Norwich is your first port of call.